Hospital sitters can play a pivotal role in not only assisting the patient suffering from poor health, but they can also provide them with companionship and motivate them to continue the fight. As aging adults grow older, chronic illness and naturally diminishing health pave the way for more frequent doctor and hospital visits – sometimes just for a regular check-up and other times for more serious cases such as diagnosis or screening for an emerging illness or scheduled surgery. Hospital Sitters can play a pivotal role by providing one-on-one care and companionship during the patient’s hospital stay. A hospital companion is a welcome distraction, taking your loved one’s mind off the worry and fear a hospital stay can cause. Anxiety diminishes strength and energy needed to heal. Having a Hospital Sitter to provide comfort and emotional support will lower stress, allowing your family member to return home faster and stronger. As we grow older, chronic illness and naturally deteriorating health pave the way for more frequent doctor and hospital visits – sometimes just for a regular check-up and other times for more serious cases such as diagnosis or screening for an emerging illness or scheduled surgery. At A-1 Home Care Agency, we know how frightening some hospital visits can be. The feeling of apprehension can be difficult to cope with, especially if your loved one must be at the hospital for a long stretch of time and you can’t be by their side. Every hospital sitter from our agency is personable, friendly and experienced. All our caregivers and hospital sitters understand how to comfort and assist people undergoing traumatic events such as illnesses, health scares and surgery. 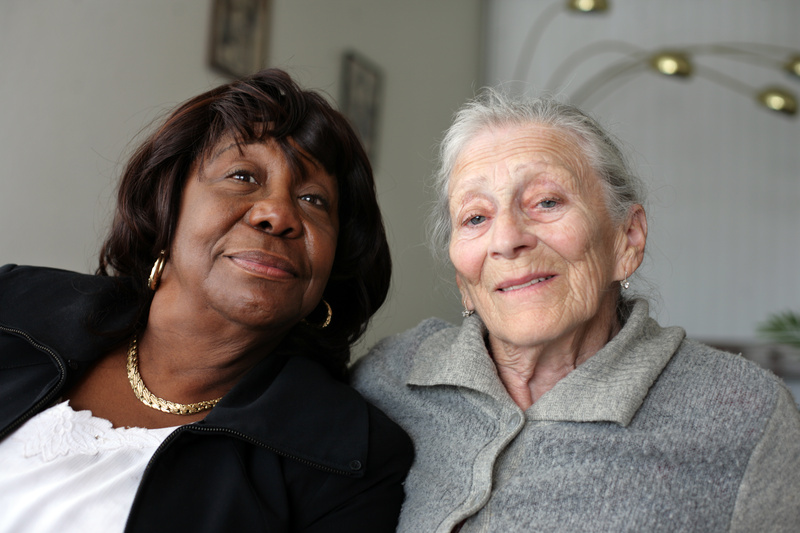 Our Caregivers, Nurse Aides, Personal Care Assistants and Home Health Aides provide your loved one the personalized care and support they need during this difficult time. For those that are disabled, frail or chronically ill and are less independent, our trained Facility Aides can assist with daily activities and personal care in the comfort of their Assisted Living Home or at a Skilled Nursing Facility. While certain services such as bathing, hygiene assistance, toiletry / incontinence care, meals, housekeeping and laundry are provided by the facility staff, A-1 Home Care Agency can arrange individualized care for your loved one to increase their comfort and quality of life, especially if they need specialized care. While Assisted Living Communities do employ personal care aides, there are dozens, if not hundreds, of seniors that require additional assistance and support. Assisted Living and Skilled Nursing Facilities are understaffed and overworked and cannot provide one-on-one care to every resident. Your loved one will have their needs scheduled along with all the other residents needing assistance. They won’t be able to start their day when they want or follow their own daily routines. This can be very frustrating for someone who is used to being independent. All care providers are carefully screened, providing you with quality assistance and peace of mind. Copyright© 2019 A-1 Domestic Professional Services, Inc . All Rights Reserved. The site content may not be copied, reproduced, or redistributed without prior written permission of A-1 Domestic Professional Services, Inc.